When she works in her garden, Noraly Roozendaal (1993) is inspired by everything around her. She allows herself to be surprised by coincidences and looks at the plants and vegetables in her garden and around it in a different way. That is how she started seeing the estranging beauty of overgrown vegetables, something you don’t see often as the growth process is usually ended sooner. With her art, she shows the value of rotting fruit and invites us look at weeds in a different way. 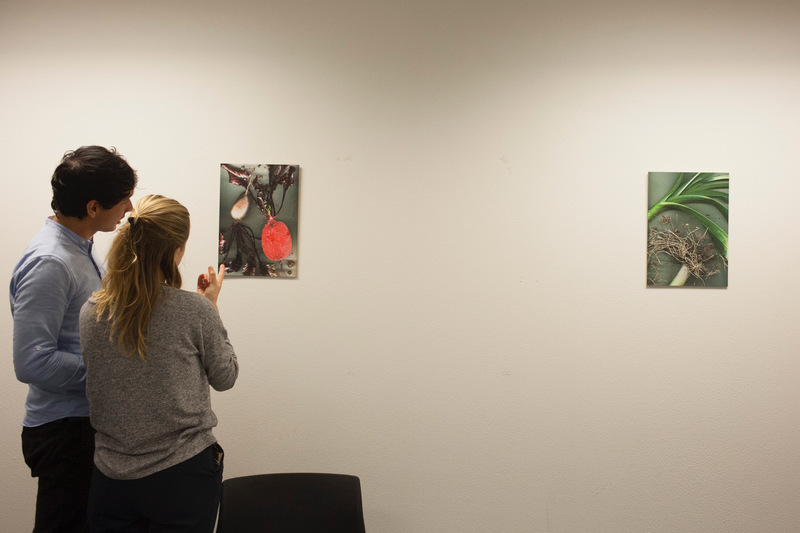 Several art projects by Noraly Roozendaal are on display in the meeting rooms and workspaces at Social Impact Factory Utrecht. She graduated at the Hogeschool voor de Kunsten Utrecht in June 2018 and was then invited to show her work at the Dutch Design Week. QKunst curates an exhibition at Social Impact Factory Utrecht three times a year, showing work by talented Utrecht-based or -born artists. We always look for a link with themes that matter to the ‘inhabitants’ of SiF Utrecht. ‘Estranging beauty’ is on view since 22d November and is the second exhibition organised by QKunst.